YOU DREAM!! WE DEVELOP FOR YOU. Let's go together for your project. To anticipate clients’ wishes is my business!!! My skills encompass Native iOS/Android mobile development and Web development with 6.5 years of Experience. We have developed extraordinary creations for clients & successfully completed with perfectly as per expectations. ★★ Please check some of our Expertise in Web & Mobile Apps★★ ✈✈ Mobile app development(Native) ● iOS/Android app development (Objective-C & Swift) ● Augmented Reality. 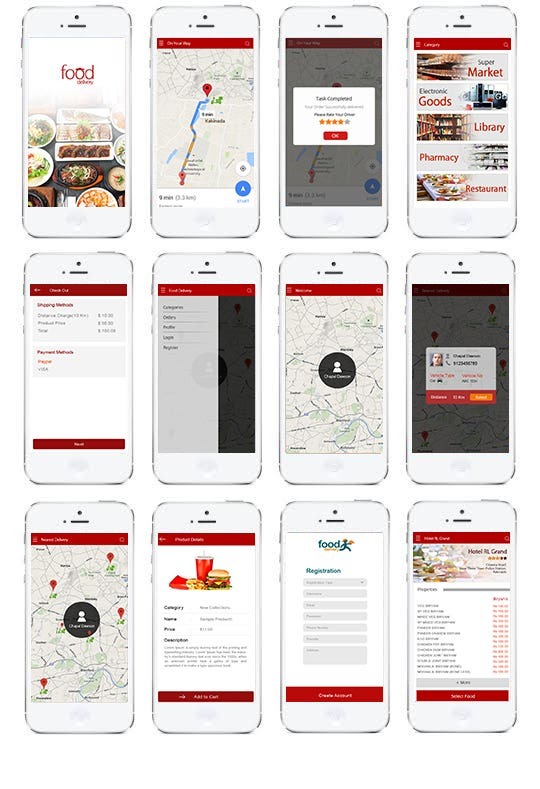 ● Chat apps ● Uber Like ● Restaurant and food apps ● Gym and Fitness apps ● NFC integration ● Geo Location/GPS/Travel APP ● Location base event, Integration with Google/Apple Maps ✈✈ Web development ● WordPress with Plugin development ● Bootstrap ● PHP/Cake PHP/CodeIgniter/laravel ● CRM system ● Portals ● Lead generation system ● POS system development ● Responsive websites and job portal development. Client's satisfaction is our priority. Regards.